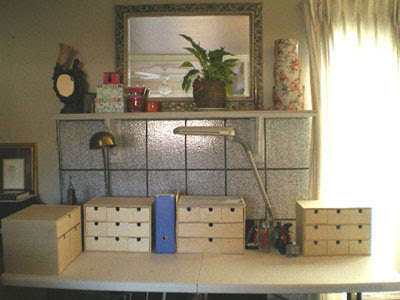 My new studio & cupcake & birdie stickers are the freshest things in my life. These IKEA drawers took 2 weeks to assemble. Either someone was napping in the day here or sleeping at night...it was really tough waiting for time to get to hammer the nails in, but it was all worth it. Towards the end of the project I figured out a much quicker method of assembly so it was even more fun achieving the final result. My table is in front of the fireplace so I integrated the mantle by stacking the boxes I had emptied into the new drawers so that they are now decoration and the entire area looks more cohesive. 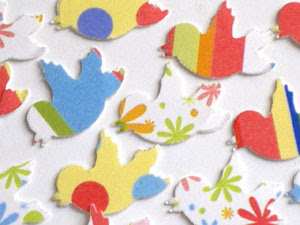 So my newest shop additions to www.MomsArt.Etsy.com are cupcake & birdie stickers...I just LOVE them! I got some great patterned sticker paper and they take on quite the personality, especially the birdies, which one friend has stated remind her of Cinderella birdies. They are SO detailed. I'm really happy with this paper puncher. Now you can have bird & cupcakes in matching stickers AND confetti! 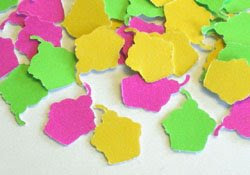 I did it...I hand punched Cupcake Stickers in neon colors for my www.MomsArt.Etsy.com shop. 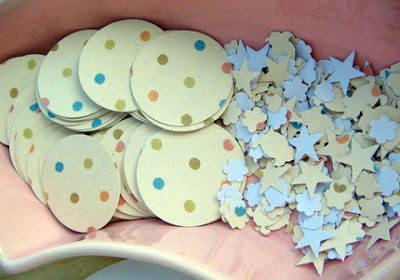 What a great companion to my Cupcake Confetti. 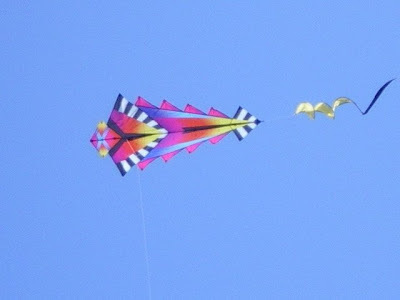 New colors are coming. For now, you can snag a pack of 50 in Neon Pink, Lime & Sunshine Yellow. I know it's DEFinitely an experience. 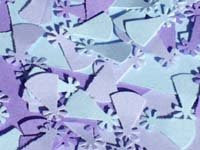 I've been shopping like crazy for my new Etsy shop, MomsArt.etsy.com. It's a tribute to my mother's artistic talents. She drew and softly colored cards for our entire family on birthdays and anniversaries. My plan is to reproduce and then color them as cards for you. 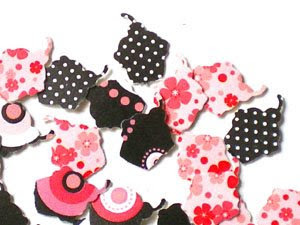 In the mean time, I'm buying paper goods like crazy to also provide shoppers with hand punched confetti (party hats and birdies are the latest), beautiful ribbons, and even handmade stickers (think sealed with a kiss). So, come on over and visit my pretties for a whole new twist on my talents. Don't worry, RockerJewlz is alive and kicking as well. My spring line arrived last week at Midoma salon & gallery in New York City and I am working with my friend Lezlie on an amazing line of black & white lampwork beads that will enhance Sumie Tachibana's fashions at the aforementioned salon. Stickers are coming your way from RockerJewlz! These cute cuppies to the left were made by me with a cupcake shaped hole punch and I think they would make perfect stickers as well. I've got almost everything I need except for the paper. Once I find it I'll let you know. 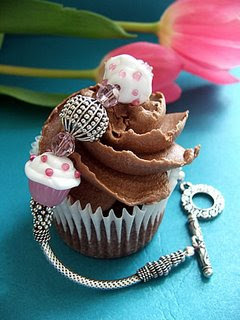 I want patterns that aren't so busy that they detract from the cupcake shape. I'll be opening a new Etsy shop for paper products and decorative home items. I've heard from more than one Etsy contact that mixing unrelated items in one shop can confuse shoppers. I am in the midst of assembling organizer drawers from IKEA so that I can clear my studio table and have room for all these projects...so stay tuned. My newest friend, Sandy, is so good to me. She's helping me improve and expand my Etsy business by sharing ideas of products and supplies, and I am deeply grateful. To the left is one of her fun notions...lots and lots of stickers! You can see more of her very unique goodies at http://www.etsy.com/shop.php?user_id=5255885. I love this color and shape combination. It's so much fun for an amazing price, and it's all hand punched. 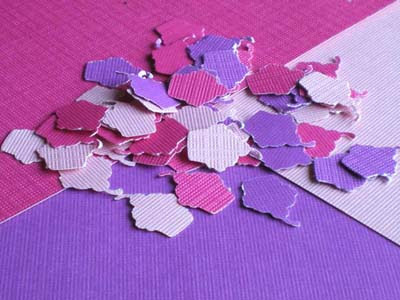 I've added more color combos of cupcake confetti to my shops as well as a textured cardstock in bright colors to play against the original smooth pastel paper. Lastly, Marianna requested more photos of my Napa weekend. 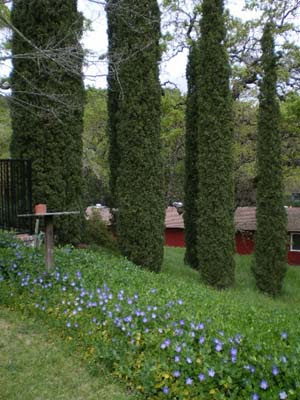 So here you see beautiful purple vincas at the base of a stand of cypress trees that line the walk down to the barn. The hills behind are part of the small valley. Neighbors are just far enough away to not intrude but close enough to signal for help if you need it! 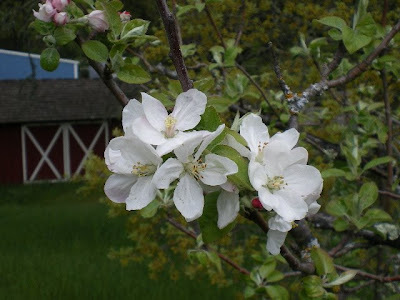 Apple blossoms are next and then a new kite we flew, fresh out of the box. Sorry I didn't have more landscape shots. They are saved on the computer in Napa and I forgot to take my flash drive to copy them.